Swiftly becoming available in countries around the world and immensely popular in each one, Pokemon Go has become a juggernaut of a game. So what is it? Well, Pokemon Go is a game that uses Google Earth, your phone's GPS system, and it's camera to place tiny fictional monsters called 'Pokemon' all over the globe for excited players to hunt, lure, or simply find. 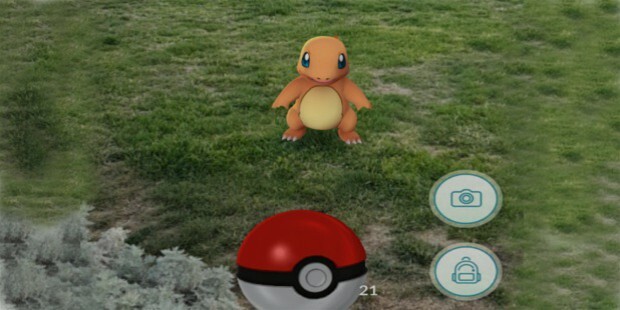 The Pokemon creatures appear on your screen in the backgrounds of the real areas provided through the view of your phone's camera, ready to be captured. The game uses existing places, such as churches, museums, local landmarks, and in some cases, even cemetaries as hiding places for the little critters. The phone even vibrates when you are near one of the hidden Pokemon so that you know to look around. 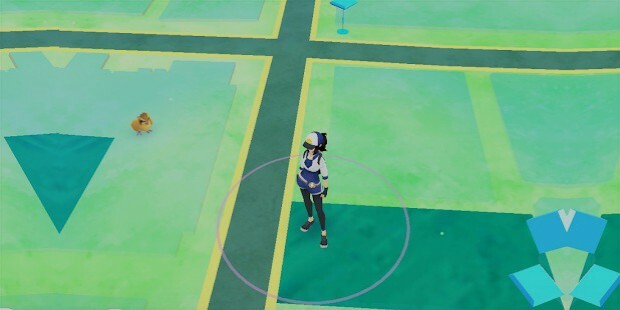 Players are limited in how many Pokemon they can capture and must go to 'Pokestops' to remedy this. Pokestops have eggs and 'Poke balls' which will allow players to catch even more Pokemon to add to their growing collections. So what do you do after you get bored finding them? Beat up your enemies(or friend's) Pokemon, of course! At a certain point in the game you will be asked to join one of three teams, Team Mystic, Team Instinct, or Team Valor. Once you are part of a team you can seek control of various Pokegyms in your area where you can do battle with rival teams. If you win a battle against a rival team at a Pokegym then that team loses 'prestige' points. When the points reach zero then your team may take control of the gym. This simple formula has captivated the attention of millions worldwide and the number grows daily. 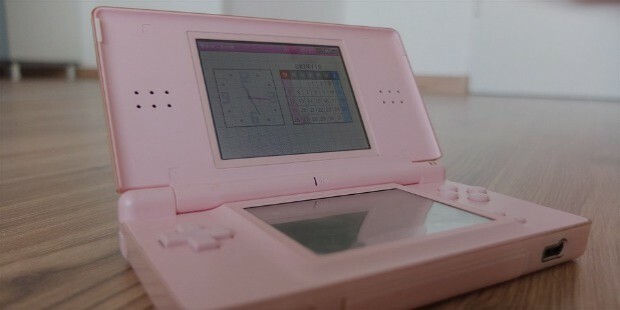 The idea for the game came in 2014 in the form of an April Fool's joke, from the minds of Satoru Iwata of Nintendo and Tsunekazu Ishihara, members of the Pokemon company. 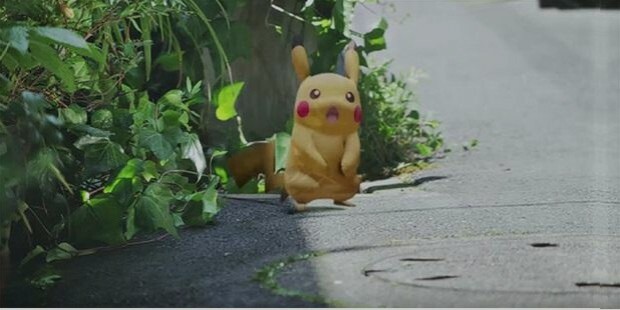 Collaborating with Google the prank was entitled 'Pokemon Challenge' and using a well-made youtube video it seemed to show players looking for Pokemon in real-world locations to capture them on their phones. Ishihara was a fan of a game called 'Ingress' which had a similar concept to the then-fictional Pokemon finding game that had captivated the world's attention. It was produced by a company called 'Niantric ' and Ishihara felt that in this company he had the perfect match to bring this April Fool's fiction to life. He was right and as they say, the rest is history. Here are a few interesting facts that you might not know about the game that has been getting so much attention worldwide. Nintendo doesn't actually own all of the rights to Pokemon. They own about 32 percent of the Pokemon company and Niantic labs. So how much is 32 percent really worth? Within 6 days of Pokemon Go's release Nintendo's market value jumped 60 percent, moving their net worth to 12 billion. Not bad for 32 percent of something. So what will this mean for the future? For gaming, it will certainly be a good thing. Nintendo has always been at the front of innovation where new games are concerned. It's most recent offering, the Wii, contained motion sensitive controls that allow you to do such things as strap a controller to your wrist so that you can 'throw' a bowling ball, wave a wand like Harry Potter, or swing a lightsaber like a Star Wars Jedi, just to name a few examples. Gamers have always known that while Nintendo graphics are not as sharp as the Playstation and Xbox competition their games are typically more interesting and clever because Nintendo is willing to take market risks for innovative gameplay. Their upcoming console, the NX, is still a thing of mystery, and Nintendo won't confirm the rumors but some believe that this is going to be one of the first 'Virtual reality' consoles and very, very portable. You'd better believe that they've got the budget to do it now. 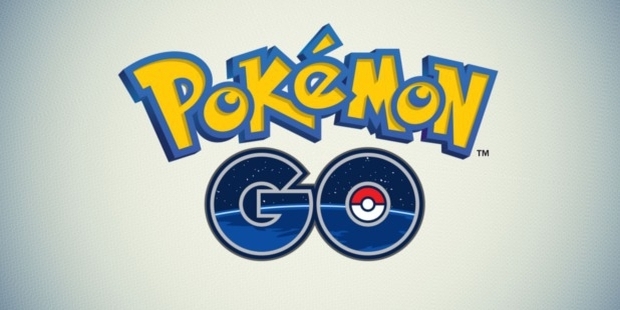 Pokemon Go may have just improved gaming for all of us. 2. Players are becoming tourists... in their own towns! Niantic's first project was called 'Field Trip', a google app for android and the iPhone that would signal you when you were close to a landmark or a historical site. This helped create the database which Pokemon Go uses for Pokestops and PokeGyms in the game. Later this database was built upon through a game Niantric produced called 'Ingress', which involved finding 'portals' around the globe using google maps. As more and more people used these apps, data about their towns began flowing in. Now if you live in one of the countries where Pokemon is available you can become a happy tourist in your own hometown. Pokemon Go players are now happily hunting and learning new things about places that they have overlooked or simply never noticed at all in their own neighborhoods. Some rare Pokemon can require walking up to 6 miles to collect and game players are so eager to get these little monsters that they are willing to get out and exercise to do it. Local churches, statues, parks, and other locales are becoming places to catch, train, or fight their beloved little monsters. Some of the landmarks are decidedly strange and a few can be unsafe (The Hell's Angel's biker gang, for instance, has unwittingly had one of their group meeting locations turned into a landmark), so be careful when you hunt for your Pokemon collection. Catching a Pokemon isn't only accomplished by walking around until you find the little boogars on a map. 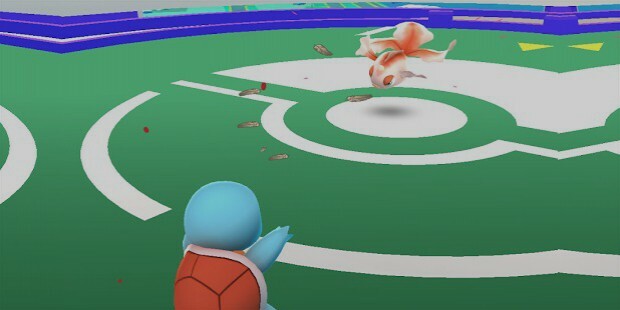 Players can purchase 'lure modules' in the game, which act as beacons to draw the little things out of hiding to places where the player can more easily capture them. Enterprising businesses have been purchasing lure modules and advertising to attract customers, who can come in for a coffee or a snack and perhaps catch a coveted Pokemon while they are there. Taxi businesses have sprung up as well. Don't want to walk to the nearest Pokestop or PokeGym? Now you don't have to. Being mobile makes it easier to collect candy and stardust to upgrade your little Pokebeasts. Enterprising drivers have been noting such locations in their neighborhoods and ferrying Pokemon trainers to and from these locations for a healthy profit. It is nice to know that something so simple as a game is inspiring fun and business in so many people. Thankfully no one would abuse such a system. Just kidding, of course, as a species, we can find ways to abuse or repurpose just about anything. 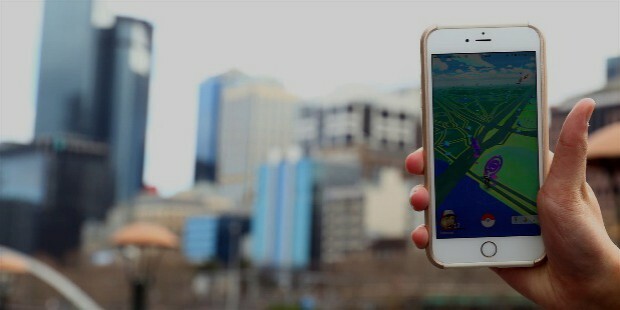 As you are hunting your Pokemon around the city you are experiencing the 'augmented reality' we mentioned previously in the introduction to this article. Your 'player' appears to be walking and other players can get an idea of where others are hunting. This is being abused, with mixed results. 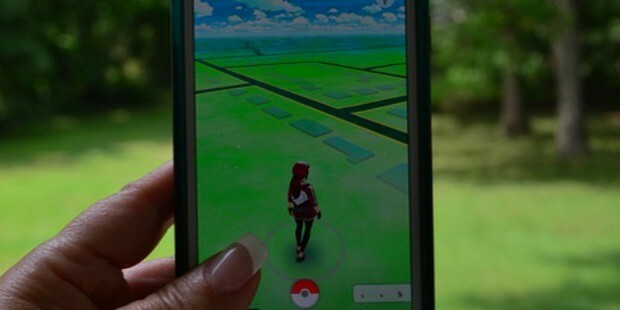 Evan Scribner, a Queens resident in the state of New York told the Washington Post he'd been caught cheating because of Pokemon Go. “She saw that I had caught a Pokémon while at my ex’s house," he said. "She found out last night at my house and hasn’t contacted me since then.” No word was forthcoming as to whether or not Scribner had caught anything during his little hunting tryst, Pokemon or otherwise. While surprising, this is hardly the most creative application of Pokemon Go to be used for nefarious means. Remember those lure modules we spoke of? It turns out that they aren't just being used for luring Pokemon. Shane Michael Backer, 18, Brett William Miller, 17, and Jamine James D. Warner, 18 are three teenagers who will be tried as adults in the state of Missouri for suspected robbery in the first degree and armed criminal action. They were accompanied by a 16-year-old who cannot be named due to the child's age and it is unclear what charges will be faced by this minor. They are considered suspects in as many as 8 robberies. Players are advised to hunt their Pokemon in groups, whenever possible. Surprises are not limited to just robberies, unfortunately, but also from hackers. Due to the high demand for the free game some would-be players have been unable to download it and in their impatience have resorted to third-party locations to get the apk file. This is not recommended. Enterprising hackers anticipated this problem and added an extra feature to pirated copies of the game. It is called 'Droidjack' and it installs a backdoor into the user's phone which allows full access and control of the phone that is running it. This nasty little gem started showing up within 72 hours of the games release so if you want to play Pokemon Go, be sure to download it only from a reputable source such as the Google Play store. So just how far are people willing to go to acquire these little beasties? You might be surprised. Drone owners are taking advantage of their aerial superiority to not only avoid walking but to swoop in and grab choice Pokemon for themselves without the usual work. One really has to marvel at the lengths that people will go to for this game craze. That isn't all, however. Perhaps the most impressive move is on the part of The United States, where at least 7.5 million users have downloaded the game and are finding themselves grudgingly forced into learning something new. The metric system. While most of the world uses metric, Americans have longed insisted on using their own customary units of measurement and amusingly enough, following the July 6 release of the game, searches for phrases such as 'How far is 5 km' spiked according to Google Analytics statistics. Who knew that all it would take to get them interested in the metric system was the promise of a few cute little monsters? Players are urged not to get too distracted in the hunt for the little beasts, however. In north San Diego, Sgt. Eaton of the San Diego Police department reported that two unidentified men in their early 20's were paying so much attention to their phones that they actually fell off a small cliff while hunting for Pokemon. The app does warn players to stay away from areas marked 'Do not Cross' or 'No Trespassing' , however, that wasn't enough to keep those two away. They were found and checked into the Scripps Memorial Hospital La Jolla where they are being treated and will hopefully be more careful next time. Nicely enough, they weren't charged with trespassing. Innovation and success inspire imitation. Part of the experience of Pokemon go is the Augmented Reality aspect, which simply means that the game uses the camera view of your phone and adds Pokemon and other items into the real-world background that your camera displays to your phone. It adds cartoon characters to real life. While the interface is currently clumsy and sometimes adds the tiny monsters in unfortunate places(such as strip clubs or on top of caskets, whoops!) it is only a matter of time before the technology is duplicated and improved. Could this mean the return of Google Glass? It is very possible. History has shown that once a demand is established for a particular technology then development is sure to follow. Media has already inspired our imaginations in this regards. Look at the 'Iron Man' series. Robert Downey Junior aka 'Tony Stark' has a helmet on his mechanical armor that gives a display of targets and information right in front of his 'real' view of the world. While the special effects employed to simulate Iron Man's view of the world look so flashy and useful in the movies we don't quite have that degree of utility with existing technologies in real life. Games such as Pokemon Go are reflecting the world's fascination with acquiring them, however, and it is only a matter of time before the real-world equivalents we are using now will be improved upon and fully integrated into the world of our future. Don't believe us? Early cellular flip-phone models sure look suspiciously like communication devices from the 1960's science fiction series 'Star Trek'. A coincidence? Don't bet on it. So, we have a wonderful game that has the fascination of user's everywhere that it is available. It uses tracking data from a phone's GPS system to place to set goals for players to accomplish and to notify other users of said player's proximities. It accesses their cameras. User's logging in from Google also is granting the application access to their Gmail, Google Docs, and other Google applications. That's a lot of information being collected. So what is going to be done with that information? Niantic isn't saying, although as part of the license agreement to play the game it is specifically stated that collected data may be used by Law Enforcement. Not scary enough for you? Conspiracy theorists want you to consider this. The CEO of Niantic, John Hanke, has some interesting ties to his past. In 2001, he started Keyhole Inc., which was largely funded by the CIA's venture capital arm called 'In-Q-Tel'. Keyhole was a company specializing in software development for geospatial data visualization. They developed software called 'Earth Viewer' that utilized satellite views of the earth. The company name itself, 'Keyhole', is even an homage to the 50-year-old eye-in-the-sky KH reconnaissance satellites of the U.S. military. Don't worry, though. Google acquired Keyhole Inc and since 2005 we've been using their 'Earth Viewer' daily. You might know it as 'Google Earth'. So where does Pokemon Go supposedly fit into all of this? Well, they are utilizing Niantic's database as well as Google Earth for placing all those cute little Pokemon all over the world. Players are generating a lot of data which Niantic has access to and In-Tel-Q's former CEO, Gilman Louie, joined Niantic's board of directors earlier this year. Purportedly he maintains ties to the intelligence community. Sounds suspicious or simply crazy? Well, the U.S. Congress has taken notice of Niantic, but not the way you think. Three ranking members of the House committee have written a letter to Niantic to ask questions about the app and it's data usage. Representatives Frank Pallone, Diana DeGette, Jan Schakowsky have sent a list of questions and noted that the average player seems to be using around 10-20 MB of data per hour while playing for 43 minutes a day. Doing the math, that's about 600 MB of data per month. Most U.S. plans allot for at least 1GB. If it helps you relax, however, the Reps seem more concerned with the data cost and their questions are geared towards asking Niantic if there are ways to minimize how much is consumed and if Pokemon Go players are being warned in advance that the game could potentially carry surprise data charges. Why they didn't go after other popular apps such as Twitter and Youtube, which can also consume a lot of data, is hard to say. It wouldn't be the first time that Politicians conveniently found their way into a spotlight. So is there is a conspiracy?! If so, it's one of the most fun conspiracies ever.